Did you ever wonder why you have to file a tax return? After all, the IRS already knows how much you made from the W-2 and 1099 forms filed by your employer and others. It knows how many dependents you have, as well as other routine information from your previous returns. So, unless you itemize your deductions, why doesn't the IRS just calculate your tax for you? When tax time comes every April, do you find yourself celebrating because you're getting a refund or griping because you owe taxes? There's a way to avoid both. The Internal Revenue Service (IRS) advises you to check your tax withholding from time to time as there are a number of factors that could determine whether you get money back or have to send more in. Millions of low and moderate-income workers may be missing out on a significant tax credit that can be as much as $6,000. If you earned $52,427 or less last year, you may qualify for the Earned Income Tax Credit (EITC) for the first time in 2015. About a third of the people eligible for EITC fluctuate each year based on changes to their marital, parental and financial status. Last year, almost 28 million eligible workers and families received $66 billion total in EITC, with an average EITC amount of $2,400. The amount of EITC varies depending on income, family size and filing status. Those who work for someone else or those who run a business or farm and who earned $52,427 or less during 2014 could receive larger refunds if they qualify for the EITC. This could mean up to $496 in EITC for people without children, and a maximum credit of up to $6,143 for those with three or more qualifying children. The EITC is refundable. That means those eligible may get a refund from the IRS even if they owe no tax or had no taxes withheld from their paycheck. Workers potentially eligible to claim the credit should visit IRS.gov/eitc to learn if they qualify, how to claim the credit and more. The EITC Assistant will also determine their filing status, if they have a qualifying child or children and estimate the amount of the EITC they could get. If an individual doesn’t qualify for EITC, the Assistant explains why and a summary of the results can be printed. 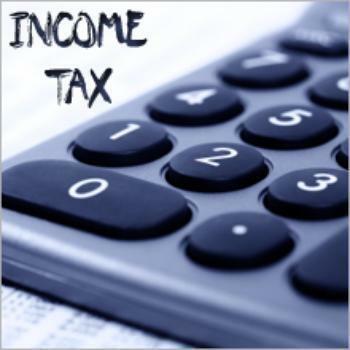 • Free File on IRS.gov Free brand-name tax software walks people through a question and answer format to help them prepare their returns and claim every credit and deduction for which they are eligible. Free File also provides online versions of IRS paper forms, an option called Free File Fillable Forms which is best suited for taxpayers comfortable preparing their own returns. • Free tax preparation sites EITC-eligible workers can seek free tax preparation at thousands of Volunteer Income Tax Assistance (VITA) and Tax Counseling for the Elderly (TCE) sites. Taxpayers can locate the nearest site using a search tool on IRS.gov or through the IRS2go smartphone application. It is important for taxpayers to bring along all the required documents and information to make sure they get the EITC they deserve. Also, those who bought coverage through the Health Insurance Marketplace should receive Form 1095-A, Health Insurance Marketplace Statement, from their Marketplace in early February. It’s important to also bring the Form 1095-A to the volunteer site. Any taxpayer who does not receive it by early February should contact their Marketplace, not the IRS. The IRS will not have access to the information on the form. Like last year, the IRS expects to issue more than 9 out of 10 refunds within 21 days. The IRS reminds taxpayers that the fastest way to get a refund is to e-file their tax return and choose direct deposit. It takes longer to process paper returns. Because of budget cuts resulting in a smaller staff, it may take an additional week or more to process paper returns, meaning that those refunds are expected to be issued in seven weeks or more. 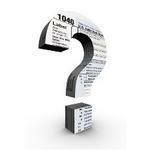 Taxpayers can track the status of their refund with the “Where’s My Refund?" tool. l available on IRS.gov or on IRS2go. The Affordable Care Act requires that a taxpayer and each member of his or her family have qualifying health insurance coverage for each month of the year, qualify for an exemption from the coverage requirement, or make an individual shared responsibility payment when filing a federal income tax return. If taxpayers bought coverage through the Health Insurance Marketplace, they should receive Form 1095-A, Health Insurance Marketplace Statement from their Marketplace by early February. They should save this form because it has important information needed to complete their tax returns. If taxpayers are expecting to receive Form 1095-A and has not received it by early February, they should contact the Marketplace where the coverage was purchased. Due to the fact that the IRS does not have this information, it is recommended that taxpayers contact the appropriate marketplace. Anyone who benefited from advance payments of the premium tax credit must file a federal income tax return. The taxpayer will need to reconcile those advance payments with the amount of premium tax credit they’re entitled to based on actual income. As a result, some people may see a smaller or larger tax refund or tax liability than they were expecting. When filing their returns, taxpayers will use IRS Form 8962, Premium Tax Credit (PTC), to calculate the premium tax credit and reconcile the credit with any advance payments. The Affordable Care Act requires that a taxpayer and each member of his or her family either has qualifying health insurance coverage for each month of the year, qualifies for an exemption, or makes an individual shared responsibility payment when filing a federal income tax return. Reporting requirements. Most taxpayers will simply check a box on their tax return to indicate that each member of their family had qualifying health coverage for the whole year. No further action is required. Qualifying health insurance coverage includes coverage under most, but not all, types of health care coverage plans. Taxpayers can use the chart on IRS.gov/aca to find out if their insurance counts as qualifying coverage. Exemptions. A taxpayer may be eligible to claim an exemption from the requirement to have coverage. If eligible for an exemption, the taxpayer will need to complete the new IRS Form 8965, Health Coverage Exemptions and attach it to their return. The individual must apply for some exemptions through the Health Insurance Marketplace. However, most of the exemptions are easily obtained from the IRS when filing a tax return. Individual Shared Responsibility Payment. If an individual does not have qualifying coverage or an exemption for each month of the year, they will need to make an individual shared responsibility payment when filing their return for choosing not to purchase coverage. Examples and information about figuring the payment are available on the IRS Calculating the Payment page. More information about the Affordable Care Act and the 2014 income tax return is available at IRS.gov/aca. Taxpayers are responsible for the accuracy of their tax return even if someone else preparers it for them. The rules for EITC are complicated. The IRS urges taxpayers to seek help if they are unsure of their eligibility, whether from a paid tax professional or at a free tax return preparation site. Deliberate errors can have lasting impact on future eligibility to claim EITC and leave taxpayers with a penalty. Some of America's most cash-strapped taxpayers — those from low- and moderate-income families — spent about $900 million in the latest year recorded for what is almost always an unnecessary product: the so-called "refund anticipation loan" at income tax time. With the opening of another tax season, consumer advocates at the National Consumer Law Center and Consumer Federation of America are warning taxpayers to steer clear of refund anticipation loans, which they call one of the most avoidable tax-time expenses. New figures reveal that RALs drained the refunds of 8.67 million American taxpayers in 2007, costing them $833 million in loan fees, plus over $68 million in other fees. In addition, another 11.2 million taxpayers spent $336 million on related financial products to receive their refunds. "In tough economic times, quick money may be tempting. But American taxpayers need every dollar of their refunds, and waiting just a week or two will put more money in their pockets," advised NCLC Staff Attorney Chi Chi Wu. RALs are bank loans secured by the taxpayer's expected refund — loans that last about 7-14 days until the actual IRS refund repays the loan. That's a good indication of just how needless most RALs are: Most taxpayers could have their refund in two weeks or less even without the costly loan. "If you want your refund fast, file electronically and have your refund direct deposited to your own bank account," said Jean Ann Fox, Director of Financial Services for CFA. Taxpayers who have a bank account can avoid the expense of a RAC - generally about $30 - by having their refunds direct deposited into their account, which is just as fast. H&R; Block customers who received the Block Emerald Card in a prior year can have their refunds direct deposited onto those cards, and avoid a RAL or RAC.  A loan fee ranging from $34 to $130, which is usually broken down into a "Refund Account" fee and a "Bank Fee."  Some tax preparers may charge one or more separate add-on fees, sometimes called "application," "administrative," "e-filing," "service bureau," "transmission," or "processing" fees. Add-on fees can range from $25 to several hundred dollars. Add-on fees are not charged by H&R; Block, Jackson Hewitt or Liberty Tax. In general, the effective annual interest rate (APR) for a RAL can range from about 50 percent to nearly 500 percent. If a $40 add-on fee is charged and included in the calculation, the effective APRs range from about 85 percent to nearly 1,300 percent. RAL loan fees can vary significantly. H&R; Block and JPMorgan Chase generally have lower RAL fees. In fact, they claim that these loans bear an effective APR of 36 percent, which is the traditional small loan rate cap in many states. However, these figures do not include the "Refund Account" fee, which they claim is for the temporary account into which the taxpayer's refund is later deposited to repay the RAL. If the Refund Account Fee is included, it more than doubles the APR. Nonetheless, there are some real and significant price differences between various RAL outlets. For example, a RAL in the amount of $3,000, which is typical, costs from $62 to $110. Taxpayers should avoid RALs in the first place; but if they insist on getting one, they should shop around for RAL costs before selecting a commercial preparer. Tax preparers and their bank partners also offer an "instant" same day RAL for an additional fee, from $25 to $55. Some of the APRs for an instant RAL of around $1,500 are 185 percent (Block) and 211 percent (Chase). Finally, consumers who do not use one of the commercial chains should also ask if the preparer charges any add-on fees. Mystery shopper testing conducted during the 2008 tax season revealed that some independent preparers charge several add-on fees for both RALs and RACs. One preparer charged $324 in add-on fees; several others charged $45. Santa Barbara Bank & Trust allegedly limits tax preparers to $40 in add-on fees; however, the preparer that charged $324 in add-on fees used Santa Barbara as its lender. Last year saw the demise of "pay stub" and "holiday" RALs. These were RALs made prior to the tax-filing season, before taxpayers received their IRS Form W-2s and could file their returns. Unfortunately, this demise was short-lived. Both H&R; Block and Jackson Hewitt are promoting loans made before the tax season based on anticipated refunds. Jackson Hewitt's version is called the iPower Line of Credit, up to $500, issued by MetaBank. MetaBank charges a 1.5 percent fee for the first advance from the line, and a 10 percent charge per advance thereafter, plus 18 percent periodic interest. If a taxpayer borrows the entire $500 in the first advance, she would be charged a $57.65 fee. If the iPower loan is repaid in one month, the total fee would be $65.15. A one month, closed-end loan with the same loan amount and fee would have an APR of 177 percent. H&R; Block's version uses its Emerald Advance Line of Credit. This is a line of credit that Block had offered previously to its Emerald Card customers, and is available for some customers on a year-round basis, for up to $1,000. This year, however, Block explicitly promoted the Emerald Advance as a tax-related pre-season loan and made it available to new customers. The Emerald Line of Credit carries an interest rate of 36 percent plus an annual fee of $45. For a $500 advance repaid in one month, the total fee is $60. A one-month, closed-end loan with the same loan amount and fee would have an APR of 158 percent, if the annual fee were to be included in the finance charge (which Truth in Lending does not require). If however, the borrower keeps the line open after tax season, the interest rate is lowered to nine percent, but requires either payroll direct deposit to Block's Emerald Card or a savings account linked to the card. RALs based on pay stubs present risks to taxpayers, because they are based on estimated tax returns before the taxpayer receives final tax information from a W-2. For example, before filing the tax return, the preparer will not have any information if the IRS is planning to seize all or part of the taxpayer's refund to pay a child support or student loan debt. H&R; Block does state that it conducts underwriting for its loans based on considerations other than the estimated refunds. In addition, Jackson Hewitt in the past appeared to force pay stub RAL borrowers to return to the same office to have their taxes prepared, preventing these taxpayers from going to competitors or seeking free volunteer assistance. The MetaBank agreement appears to assume the taxpayer will return to Jackson Hewitt for tax preparation and requires the borrower to have her RAL, RAC or tax refund loaded onto the iPower card. In addition, Jackson Hewitt may be charging a $25 or $35 "tax planning fee" for iPower loans. When home values fall, so can property tax bills, but sometimes not before you initiate the tedious process to prove your home's assessed value warrants a tax reduction. Your home may be worth less than the local tax assessor believes and that could mean a smaller property tax bill. However, unless the assessor takes it upon himself or herself to update property values, against which taxes are typically levied, it's up to you to appeal your tax bill. Pay particular attention to the fact that property tax systems vary widely from jurisdiction to jurisdiction. • Property taxes are typically based on some assessed value of your property, but that's where the similarity ends. • How property values are actually assessed, how that assessed value is taxed, the length of time between assessments, the process to appeal the assessment and the laws that govern it all, are all as local as your real estate market. • You must visit your local jurisdiction to learn the local system, its rules and your rights to appeal. Don't assume the assessor isn't already at work for you, but also don't assume he or she is. Right now is a good time to take stock of your property tax bill. Generally, when home prices rise, so do property taxes. The opposite is also true, when home values fall, so do property taxes. Today's increased incidence of foreclosures, slow sales and lender reluctance to finance the full value of a home make it obvious that home values are down in many locations. The previous housing boom frenzy caused many buyers to bid up the price of the property and artificially inflate the value. In some markets, sellers who purchased homes at the height of the boom and must now sell, are finding they have to price their home to move. That causes home value declines. The National Taxpayers Union (NTU) reported that as many as 60 percent of all homes are over-assessed and not in line with their actual value -- and that was during boom times. Also many errors are clerical mistakes according to the American Homeowners Association (AHA). • Errors in the description of your property on the tax bill. • Compatible homes in the area that have sold for less than your appraised value. • Neighbors with lower assessments on similar houses. Some homes retain the same assessed value for years and assessed values often don't rise in step with market values or home sale prices. • Value reducers in your home or area, including drainage problems, easements, re-zoning, heavy traffic, nearby railroad tracks, freeways, industry or toxic waste. • Depreciation factors, including age, the quality of materials, inefficient heating, structural cracks, deterioration, or chronic defects. The AHA's kit is a good deal because it's an informative package that is free. NTU's costs $7, but likewise remains a bargain from an independent non-commercial source. However, your local jurisdiction has all the information you need to appeal your property tax assessment and it's a good bet that information and the process is free. Watch out for private, sometimes questionable property tax reduction operations charging larger fees and promises. Avoid official-looking mailings and email come-ons that offer to do the work for you -- for a fee -- with "guarantees." Some are out right scams appealing to your sense of dread at going it alone. They want only your money and have no plans to appeal your property tax assessment. In any event, you can wait until your assessment arrives or visit your property tax assessor's office to examine your account. • Did you buy your home in a bidding war? Yesterday's over-valued property is today's over-assessed property. • Are there errors in your tax records? Look closely at your records and make sure there aren't reporting errors. A condo listed as a single-family home, an incorrect age, square footage that's off, too many rooms and other descriptive factors could falsely boost assessed value. • Do the math. Some tax laws put a cap on how much above the market value an assessment can be and how much it can rise each year. An appeal that results in a reduced assessed value, may not be permanent. You could quickly return to your higher value, market conditions permitting. To appeal the assessed value and related property tax, prepare yourself for a tough row. You may even have to appeal an initial rejection. First, pay close attention to your local rules' period of time when you must complete the appeals process. Even if the process is free if you go it alone, you may need the help of a real estate agent, realty attorney or other licensed professional to assist you gathering some of the evidence you'll need to make your case. You'll typically have to find at least three other comparable homes in your neighborhood that have lower assessments. Obviously, the lower, the better. A real estate agent or other professional who has access to the multiple listing service can do a comparable market analysis of homes recently sold and in escrow to hone in on your home's true value -- something you may not be able to accomplish with older public records. In either case, you could be out a few hundred dollars for professional assistance. Don't make a case if you don't think it's worth the cost to appeal. Broderick Perkins parlayed 30 years of old-school journalism into a digital real estate news service, the DeadlineNews Group, offering "News that really hits home!"™. The Silicon Valley bootstrap includes the Web site DeadlineNews.Com and the back shop Deadline Newsroom. Contact him at news@deadlinenews.com. Tax giant H&R; Block has been hit with several lawsuits over allegations that a software problem has delayed refunds for hundreds of thousands of taxpayers. The suits, filed in courts in three states, revolve around a seemingly minor problem that has had major implications for taxpayers who filed their returns through H&R; Block. Previously, a tax preparer could answer a question as “No” by simply leaving the field next to it empty; beginning this year, however, preparers must affirmatively enter “N” next to the question. The IRS is processing the returns, but it will take longer than usual because of the issue. The issue affects taxpayers who filed their returns before February 22. The IRS says that that at least 600,000 tax returns were affected by the glitch, and that refunds will probably be delayed for about six weeks. H&R; Block received a number of complaints about the issue via its Facebook and Twitter accounts. A suit filed in a Michigan federal court points to H&R; Block’s advertised 100 percent accuracy guarantee, and says that H&R; Block has not yet attempted to compensate taxpayers for the error. Cialkowski said that at least 500 individuals had contacted his firm about the problem. The company’s blog also offered a “complimentary consultation with a professional student aid advisor” through Student Financial Aid Services, Inc. Students affected by the problem may face complications in filing their Free Application for Federal Student Aid (“FAFSA”), which asks applicants for tax information. At least 3 suits have been filed to date, including complaints in California, Michigan, and Illinois courts. Some of America's most cash-strapped taxpayers -- those from low- and moderate-income families -- spent nearly $1 billion in the latest year recorded for what is almost always an unnecessary product: the so-called "refund anticipation loan" at income tax time. With another tax season gearing up, consumer advocates at the National Consumer Law Center (NCLC) and Consumer Federation of America (CFA) are warning taxpayers to steer clear of refund anticipation loans (RALs), one of the most avoidable tax-time expenses. New figures reveal that RALs drained about $960 million in loan fees, plus over $100 million in other fees, from the wallets of nearly 9.6 million American taxpayers in 2005. "Taxpayers can save themselves over a billion dollars by just saying no' to quick tax refund loans," says NCLC staff attorney Chi Chi Wu. "These loans take a chunk out of your hard earned tax refund, and they expose you to the risk of unmanageable debt if your refund doesn't arrive as expected." RALs are extremely high-cost bank loans secured by the taxpayer's expected refund -- loans that last about 7-14 days until the actual IRS refund repays the loan. That's the first indicator of just how unnecessary most RALs are: Most taxpayers could have their refund in two weeks or less even without the costly loan. "Taxpayers who want quick refunds can get them in two weeks or less by using electronic filing and having refunds directly deposited into their own bank accounts," says Jean Ann Fox, director of consumer protection for CFA, "That's a quick refund, and it's also free." RALs cost from about $30 to over $125 in loan fees. Some tax preparers also charge a separate fee, often called an "application" or "document preparation" fee, of about $40. The effective annual interest rate (APR) for a RAL can range from about 40% to over 500%. If application fees are charged and included in the calculation, the effective APRs range from about 57% to over 1,100%. Consumer use of RALs dipped significantly in 2005, but remains at high levels. Using the most recent data available from the IRS, NCLC and CFA calculate that approximately 9.6 million taxpayers received RALs in the 2005 tax-filing season (for tax year 2004). 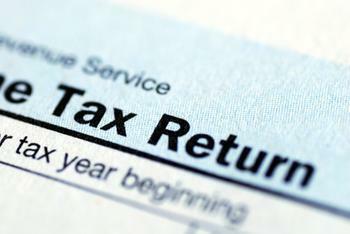 For that year alone, about 1 in 13 tax returns involved a RAL. Although high, these 9.6 million RALs represent a significant decline from the 12.4 million RALs reported for 2004 (for tax year 2003). The reasons for this decline are not certain, but may include increased public scrutiny around RALs, better consumer awareness, and improved data reporting requirements by IRS. This year, a RAL for an average refund of around $2,500 will cost about $100 at some tax preparers, translating into an effective APR of 150%. However, H&R; Block has lowered the fee for RALs in that range by 40%, to $60. Block has reported that these RALs bear an APR of 36%; however, that figure does not include the fee for the temporary "refund account" in its calculation, which if included about doubles the APR. A RAL loan fee is in addition to tax preparation fees averaging $150 and, in some cases, an application fee of about $40. H&R; Block does not charge an application fee, but some other franchise offices of commercial chains, as well as independent tax preparers, may charge a fee. A RAL for $2,500 will bear an effective APR of about 200%, based on $100 RAL loan fee and $40 application fee. Tax preparers and their bank partners also offer an "instant" same day RAL for an additional fee, from $20 to $55. In addition, the industry has been pitching "holiday" and "pay stub" RALs, which are made prior to the tax filing season, before taxpayers receive their IRS Form W-2s and can file their returns. Pay stub RALs are made in January using the year-end pay stub information, while holiday RALs are made by tax preparers during November and December. The National Consumer Law Center and Consumer Federation issued a report in November 2006 on these products. Taxpayers tempted by RALs should considered cheaper and better alternatives. For example, both the Volunteer Income Tax Assistance (VITA) program and AARP's TaxAide offer free tax preparation for low-income taxpayers. The IRS Free File program is available for taxpayers who earn $52,000 or less, and RALs are no longer marketed through that program (www.irs.gov). Some of the free tax preparation programs can also help taxpayers open bank accounts, which allow them to take advantage of the speed of a direct-deposited refund using electronic filing. This year the IRS is allowing taxpayers to electronically deposit their tax refunds in up to three accounts with Form 8888. Refunds can be split by depositing into both checking and savings accounts. H&R; Block has unveiled a new electronic debit-card based bank account in which customers can direct deposit refunds, a less expensive option than a RAL. In addition to their high costs, RALs can be a risky proposition. A RAL must be repaid even if the taxpayer's refund is denied, is smaller than expected, or frozen (something that the National Taxpayer Advocate has noted happens to hundreds of thousands of taxpayers, particularly Earned Income Tax Credit recipients). If the taxpayer cannot pay back the RAL, the lender may send the account to a debt collector. The unpaid RAL will also show up as a black mark on the taxpayer's credit record. If the taxpayer applies for a RAL or other refund financial product from a commercial preparer next year, she may find that her next year's refund gets grabbed to repay this year's unpaid RAL debt. The California Attorney General's Office recently reached a settlement that required Jackson Hewitt to reform its procedures surrounding this form of debt collection, as well as with respect to other practices, and to pay $4 million in consumer refunds and $1 million in penalties and costs. Information from tax returns will be shared with the lending bank when consumers apply for refund anticipation loans. As long as a taxpayer signs the right form, IRS rules permit tax return information to be shared with a third party. The IRS held public hearings in April 2006 on proposed changes to its privacy rules but has not issued new rules for this tax season. "Tax returns are a financial data goldmine for marketers," said Jean Ann Fox, director of consumer protection for Consumer Federation of America. "Look closely at every form that requires your signature to stop tax preparers from using your information for purposes other than filing the tax return." In the wake of the continuing scandal surrounding its handling of reviews of tax-exempt applications, the Internal Revenue Service (IRS) -- in the person of Principal Deputy Commissioner Danny Werfel -- has come out with a report that it says is designed to fix the problems. According to an agency release, the three-part report cites actions to “hold management accountable and identifies immediate steps to help put the process for approving tax-exempt applications back on track.” Also included are actions Werfel says are needed to protect and improve wider IRS operations, ranging from compliance areas to taxpayer service. As might be expected from the agency that maintains the problem stems from a rogue group in the distant outpost of Cincinnati, Ohio, the initial review “shows no signs of intentional wrongdoing by IRS personnel or involvement by parties outside the IRS in the activities described in the recent Treasury Inspector General for Tax Administration (TIGTA) report. The report finds that “significant management and judgment failures” occurred, as outlined in the TIGTA report. These contributed to the “inappropriate treatment” of taxpayers applying for tax- exempt status. To address this, new leadership has been installed across all five executive management levels in the chain of command connected to these matters. In addition, the IRS has empaneled an “Accountability Review Board” to provide recommendations within 60 days (and later as needed) on any additional personnel actions that should be taken. The report outlines a new voluntary process to help certain applicants gain fast-track approval to operate as a 501(c)(4) tax-exempt entity if they are being reviewed for advocacy questions and have been in the application backlog for more than 120 days. This self-certification process allows them “a streamlined path” to tax-exempt status if they certify they will operate within specified limits and thresholds of political and social welfare activities. In addition, the IRS has added new technical and program staff to assist with reviewing 501(c)(4) applications. The report calls for establishing what's termed an Enterprise Risk Management Program to provide a common framework for capturing, reporting and addressing risk areas across the IRS. This is expected to improve timeliness in bringing information to the attention of the IRS commissioner and other leaders as well as key stakeholders to help prevent future instances of inappropriate treatment or mismanagement. Although the agency claims there is no current evidence that selection criteria in other IRS organizations is inappropriate, the nature of the problems identified in the tax-exempt application process warrants a review of certain process controls within the IRS. The IRS will initiate a comprehensive, agency-wide review of compliance selection criteria. Results will be shared with the Department of the Treasury, the IRS Oversight Board, and the Chairpersons of the House Ways and Means Committee and the Senate Finance Committee. If you receive an email from the Internal Revenue Service saying you are under investigation, dont panic. The IRS says its the latest scam designed to fool people into downloading a program making their computers vulnerable to hackers. The e-mail purporting to be from IRS Criminal Investigation falsely states that the person is under a criminal probe for submitting a false tax return to the California Franchise Tax Board. The e-mail instructs recipients to click on a link or open an attachment to learn more information about the complaint against them. The IRS warned people that the e-mail link and attachment is a Trojan Horse that can take over the persons computer hard drive and allow someone to have remote access to the computer. The IRS urged people not to click the link in the e-mail or open the attachment. Similar e-mail variations suggest a customer has filed a complaint against a company and the IRS can act as an arbitrator. The latest versions appear aimed at business taxpayers as well as individual taxpayers. The IRS said it does not send out unsolicited e-mails or ask for detailed personal and financial information. Additionally, the IRS never asks people for the PIN numbers, passwords or similar secret access information for their credit card, bank or other financial accounts. Recipients of questionable e-mails claiming to come from the IRS should not open any attachments or click on any links contained in the e-mails. Instead, they should forward the e-mails to phishing@irs.gov . The IRS also sees other e-mail scams that involve tricking victims into revealing private personal and financial information over the Internet, a practice that is known as phishing for information. Since the establishment of the mail box last year, the IRS said it has received more than 17,700 e-mails from taxpayers reporting more than 240 separate phishing incidents. To date, investigations by TIGTA have identified host sites in at least 27 different countries, as well as in the United States. Other fraudulent e-mail scams try to entice taxpayers to click their way to a fake IRS Web site and ask for bank account numbers. Another widespread e-mail tells taxpayers the IRS is holding a refund (often $63.80) for them and seeks financial account information. Still another email claims the IRSs anti-fraud commission is investigating their tax returns. August 27, 2007 If you receive an email from the Internal Revenue Service saying you are under investigation, dont panic. The IRS says its the latest scam designed to fool people into downloading a program making their computers vulnerable to hackers. 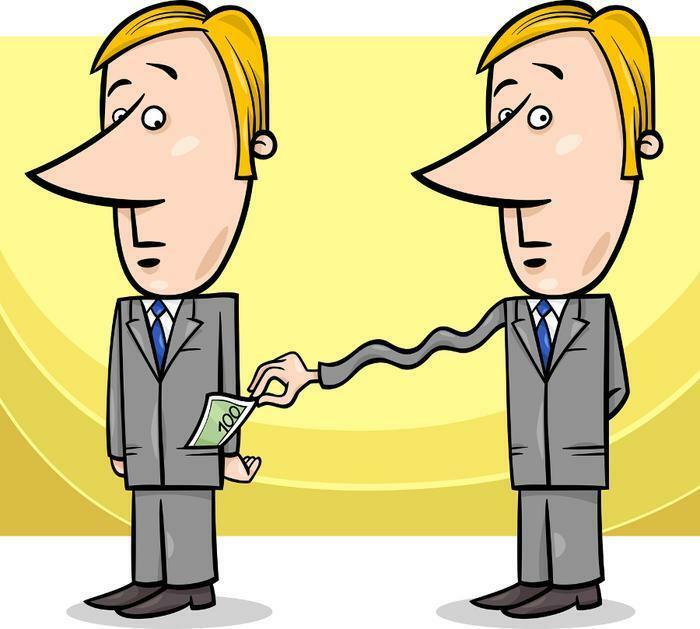 Name any large legitimate business or organization you can think of, and there exist countless scammers fraudulently posing as members of said business or organization in hopes of stealing your money. The U.S. government is no different, and with the April 15 tax-filing deadline fast approaching, there's a larger-than-usual number of scammers fraudulently posing as tax agents. But the latest fake-IRS scammers aren't using email to contact their victims. The Federal Trade Commission put out a bulletin warning potential victims (especially people of south Asian descent) of a despicable new scam wherein thieves posing as IRS agents call victims and threaten them with immediate arrest (and even deportation, in the case of immigrants) unless the victims immediately pay over the phone. Protecting yourself from this scam is a bit trickier, because you can't necessarily assume “All unsolicited phone calls allegedly from the IRS are scammy,” the way you can about unsolicited emails. And if you get a phone call and hear phrases like “I'm from the IRS” and “you'll be arrested,” it's understandable that even an innocent person might feel scared, maybe even close to panic — but that's exactly what the scammers are counting on. They want your fear to override your good sense, at least long enough to separate you from your hard-earned money. If you get such a threatening call, allegedly from the IRS, what can you do? On the one hand, you don't want to give money to scammers, but at the same time, you dare not risk ignoring legitimate messages from the taxman, either. The main thing you must remember (to protect yourself not only from fake IRS phishers, but all phishers) is to get your own contact information. The FTC reports that the latest batch of fake-IRS scammers mostly called from the phone numbers (321) 352-6893; (202) 803-4825; (585) 310-3285; and (202) 241-2073. If your call comes from one of those numbers, you can pretty much ignore it. But suppose your call comes from a number you don't recognize — or you find a message on your voicemail, saying they're from the IRS and you'd better call them back or else. Before you call them back, go online and search for the contact information of the IRS office nearest you. Even in a worst-case scenario – you really are in trouble with the IRS, and that's a bona fide IRS agent who just called you – a legitimate IRS agent will give you a name and contact number which you can verify by doing your own independent online search. Then again, if you really were in trouble with the IRS, you'd have known about it long before any agents picked up the phone to call you — when you owe the IRS money, they first try contacting you through the old-fashioned U.S. Mail. Also: while the IRS genuinely does have deadlines, and will even tell certain American taxpayers “Give us X dollars by Y date or face nasty legal consequences” … that deadline is never "less than 24 hours from now." The IRS will not contact you out of the blue and tell you “Pay up right now or you'll be in prison before sundown,” nor will the IRS make arrest threats over the phone. These victims were even urged to speak to the fake IRS agent before bothering to call their local police –needless to say, real IRS agents going after real tax scofflaws have no need to keep the police out of the loop, because real IRS agents have the law on their side. If you really are in trouble with the IRS, you'll know about it long before anyone from the agency gives you a call — you'll have a pile of gimme-money letters from the IRS, chock-full of agent ID numbers and agency-contact numbers that are easily verified by a simple online search. If you don't have a high income, you may qualify for a larger tax refund than you think. The Earned Income Tax Credit (EITC), sometimes called EIC is a tax credit for low to moderate income working individuals and families. Congress originally approved the tax credit legislation in 1975 in part to offset the burden of social security taxes and to provide an incentive to work. When EITC exceeds the amount of taxes owed, it results in a tax refund to those who claim and qualify for the credit. How do you know if you qualify? You must have earned income from employment, self-employment or another source and meet certain rules. In addition, you must either meet the additional rules for Workers without a Qualifying Child or have a child that meets all the Qualifying Child Rules for you. Unfortunately, the specific criteria is not clearly defined. The best way to find out if you qualify is to answer this survey on the Internal Revenue Service (IRS) website. The Tax Relief and Job Creation Act signed into law December of 2010 provides a temporary increase in EITC and expands the credit for workers with three or more qualifying children. These changes are temporary and apply to 2009, 2010, 2011 and 2012 tax years. If you have requested an extension for filing your 2012 federal tax return, you may be getting a break from the Internal Revenue Service. The agency is providing late-payment penalty relief to individuals and businesses who asked for the extension because they are attaching to their returns forms that couldn’t be filed until after January. The relief applies to the late-payment penalty -- normally 0.5 percent per month -- charged on tax payments made after the regular filing deadline. This relief applies to any of the forms delayed until February or March, primarily due to the January enactment of the American Taxpayer Relief Act. Taxpayers using forms claiming such tax benefits as depreciation deductions and a variety of business credits qualify for this relief. A complete list of eligible forms can be found in Notice 2013-24. Individuals and businesses qualify for this relief if they properly request an extension to file their 2012 returns. Taxpayers who are eligible need not make any special notation on their extension request, but as usual, must properly estimate their expected tax liability and pay the estimated amount by the original due date of the return. Three weeks into the filing season, the Internal Revenue Service (IRS) has received about a third of the individual income tax returns that it expects to receive this year. According to the agency, nearly 98% of the 49.6 million returns it has received so far have been processed. In fact, IRS says that each week this filing season, it has processed a greater percentage of the returns received than during comparable weeks last year. More taxpayers are filing their returns electronically this year. Overall, 46.6 million returns have been e-filed this year, up 1% from the same time last year. As in prior years, the greatest increase is among individuals filing from their home computers. Nearly 22 million returns have been e-filed from home computers this year, according to IRS -- an increase of almost 7% from the same time last year. And -- the good news for taxpayers -- the IRS has issued more than 40 million tax refunds this year, an increase of more than six% compared to the same time in 2013, with almost 90% of these refunds directly deposited into taxpayers’ accounts. Santa hasn't even made his rounds yet and already Uncle Sam is on your doorstep with his hand out. 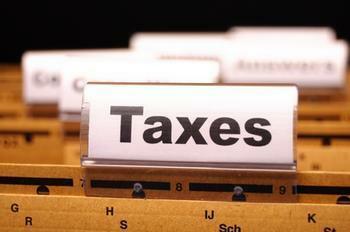 The Internal Revenue Service (IRS) has just announced that it plans to open the 2014 filing season on Jan. 31. The tax agency says this will allow it adequate time to program and test its tax processing systems. The annual process for updating IRS systems saw significant delays in October following the 16-day federal government shutdown. The government closure meant the IRS had to change the original opening date from Jan. 21 to Jan. 31 -- one day later than the 2013 filing season opening following tax law changes made by Congress on Jan. 1 under the American Taxpayer Relief Act (ATRA). The extensive set of ATRA tax changes affected many 2012 tax returns, resulting in the late January opening. The October shutdown came during the peak period for preparing IRS systems for the 2014 filing season. Programming, testing and deployment of more than 50 IRS systems is needed to handle processing of nearly 150 million tax returns. Updating these core systems is a complex, year-round process with the majority of the work beginning in the fall of each year. 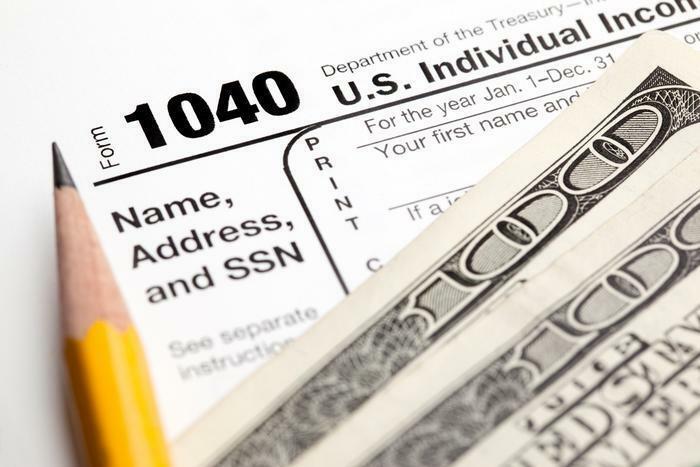 The IRS notes that several options are available to help you prepare for the 2014 tax season and get any refund you have coming as easily as possible. New year-end has been added to the IRS website. The IRS emphasized that it will not process any tax returns before Jan. 31, so there is no advantage to filing on paper before the opening date. Taxpayers will receive their tax refunds much faster by using e-file or Free File with the direct deposit option. Could your retirement plan use a little help? The Internal Revenue Service (IRS) says low- and moderate-income workers can take steps now to save for retirement and earn a special tax credit in 2014 and years ahead. The saver’s credit helps offset part of the first $2,000 workers contribute to IRAs and 401(k) plans and similar workplace retirement programs. Also known as the retirement savings contributions credit, the saver’s credit is available in addition to any other tax savings that apply. Eligible workers still have time to make qualifying retirement contributions and get the saver’s credit on their 2014 tax return. You have until April 15, 2015, to set up a new individual retirement arrangement or add money to an existing IRA for 2014. However, elective deferrals (contributions) must be made by the end of the year to a 401(k) plan or similar workplace program, such as a 403(b) plan for employees of public schools and certain tax-exempt organizations, a governmental 457 plan for state or local government employees, or the Thrift Savings Plan for federal employees. Workers who are unable to set aside money for this year may want to schedule their 2015 contributions soon so their employer can begin withholding them in January. Like other tax credits, the saver’s credit can increase a taxpayer’s refund or reduce the tax owed. Though the maximum saver’s credit is $1,000, $2,000 for married couples, the IRS cautioned that it is often much less and, due in part to the impact of other deductions and credits, may -- in fact -- be zero for some taxpayers. The saver’s credit supplements other tax benefits available to those who set money aside for retirement. For example, most workers may deduct their contributions to a traditional IRA. Though Roth IRA contributions are not deductible, qualifying withdrawals, usually after retirement, are tax-free. Normally, contributions to 401(k) and similar workplace plans are not taxed until withdrawn. With just over 2 weeks to go before the federal tax-filing deadline, a lot of folks are beginning to realize they are nowhere near ready to send in their returns. Not a problem, says the Internal Revenue Service (IRS). The tax agency says it's actually easy to get more time; in fact, it can even be done online. If you haven’t yet filed, the IRS has this advice: Don’t panic. Taxpayers who need more time to complete their tax return can request an automatic 6-month extension. The fastest and easiest way to get the extra time is through the Free File link on IRS.gov. In a matter of minutes, anyone, regardless of income, can use this free service to request an extension on Form 4868. Filing this form gives you until Oct. 15 to file a return. To get the extension, taxpayers must estimate their tax liability on this form and should also pay any amount due. The IRS stresses that a request for an extension will give extra time to file a tax return -- not extra time to pay any taxes owed. 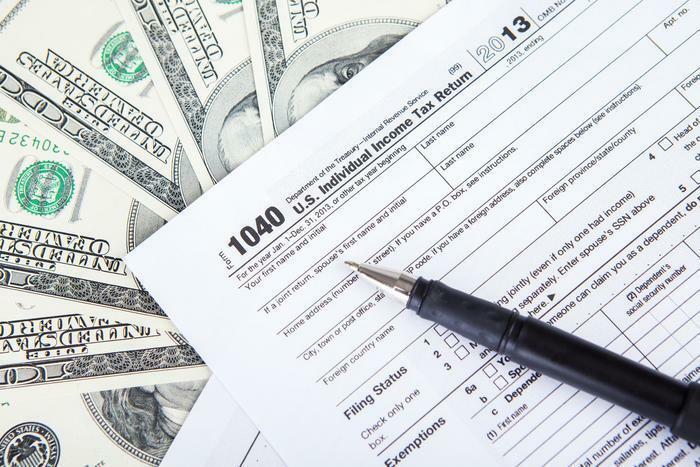 By filing either a regular tax return or requesting an extension by the April 15 filing deadline, taxpayers will avoid a stiff penalty -- the late-filing penalty. Taxpayers should file even if they can’t pay the full amount of taxes they owe. The late-filing penalty, normally 5% per month based on the unpaid tax balance, applies to returns filed after the April 15 filing deadline. In addition, any payment made with an extension request will reduce or eliminate interest and late-payment penalties that apply to payments made after April 15. The interest rate is currently 3% per year, compounded daily, and the late-payment penalty is normally 0.5% per month.